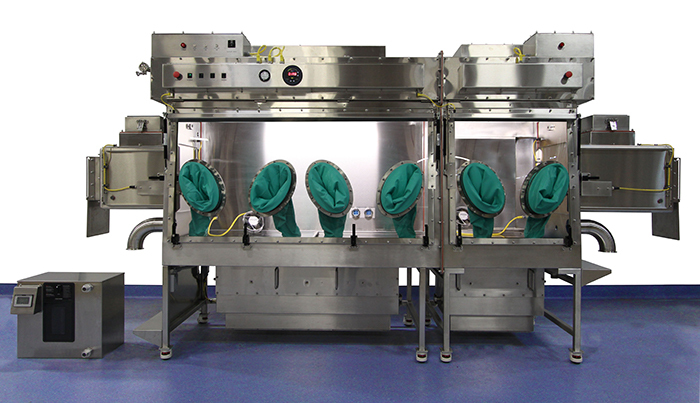 Isolators are a core component to the pharmaceutical industry, critical for a range of processes. These gas-tight enclosures provide a complete barrier to ensure aseptic conditions and containment. Germfree manufactures advanced cGMP-compliant isolators to protect sterile products, personnel and the working environment. Our Aseptic Isolators are customized to meet the rigorous demands of your specific application and operate under positive pressure. Our Containment Isolators operate under negative pressure and handle potentially hazardous materials and potent APIs. Biopharmaceutical production often requires working with potent chemical APIs and hazardous biological agents. Pharmaceutical Containment Isolators facilitate the ideal workflow and cGMP-compliance while providing protection from risk agents. Germfree’s units meet the demands for aseptic conditions and containment of any critical application. We construct the barrier system to rigorous guidelines and specifications with properly configured engineering controls, filtration systems and integrated components. Hazardous pharmaceutical processes can present a range of challenges. Risk agents associated with emerging therapeutics in the biologics arena must also be addressed. Containment isolators must effectively handle all types of hazardous agents. Germfree has been manufacturing advanced containment systems for more than five decades, earning a global reputation for engineering innovative solutions. Biopharmaceutical applications range significantly in their scope, engineering and compliance requirements. Germfree specializes in custom and complex designs. Stringent aseptic conditions are essential to maintain quality control and meet FDA cGMP and other regulatory demands. Our Pharmaceutical Aseptic Isolators provide a complete barrier that separates and protects your product from personnel, other processes and the work environment. Germfree precisely integrates the air filtration systems and all components according to your custom specifications. 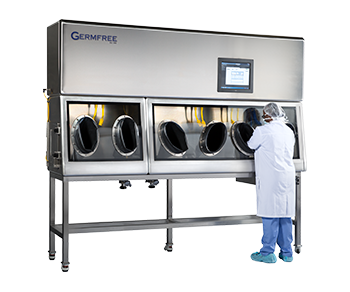 Germfree manufactures units with multiple chambers or isolator lines to separate your materials, processes and improve workflow. 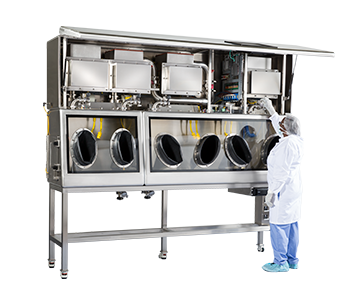 Filtration systems and airflow engineering controls are configured to prevent cross contamination or provide containment between chambers. This facilitates the handling and transfer of materials between barrier systems and allows sterile products to remain under isolation. For work with Aerobiology and other high containment laboratory applications also see our complete line of Class III Biological Safety Cabinets. Our leading-edge fabrication technology, engineering team and subject-matter experts are all located on-site, in our US factory. We provide an efficient and collaborative design process and coordinate all logistics. From concept to completion, we deliver advanced solutions in an accelerated timeline. Contact Germfree to discuss your Pharmaceutical Isolator requirements. Germfree also manufactures Restricted Access Barrier Systems or RABS. These units are sometimes appropriate as a flexible approach for aseptic processing in a cleanroom environment for applications that do not require a pharmaceutical isolator. For routine pharmacy compounding of sterile and hazardous drug preparations, also see our Compounding Aseptic Containment Isolators (CACI).